Purchase individual tickets below – or subscribe to the series for one special price! Sara Daneshpour, a talented pianist based in Washington D.C. her native city, has played in many cities across the US as well as many European countries. She is a graduate of the Curtis Institute of Music studying under Leon Fleisher and she also studied with Yoheval Kapinsky at Juilliard and under the direction of Dr. Oleg Volkov. She has won numerous prizes including the 2017 Arthur Rubinstein International Piano Competition, the Seoul International Piano Competition, Energy Classical Fellowship Award of the American Pianists Association, the XLL Councours International de Musique du Maroc,the William Kapell International Piano Competition, the International Russian Music Piano Competition and the Maria Canels International Piano Competition in Barcelona. Washington Post wrote of her performance with the Baltimore Symphony Orchestra: "...she created transfixing poetry. And she found delightful details in passagework and incidents that other pianists treat as routine." The Baltimore Sun stated that Ms Daneshpour "delivered a powerhouse account of Tchaikovsky's Concerto No.1 producing enough tone for two pianists in the process. The Sandwich Arts Alliance is delighted to present this international star. The Boston Arts Academy is Boston's first and only high school for the visual and performing arts. The Spiritual Ensemble is a talented group of students under the direction of Tyrone Sutton. In 2014 they won the highly competed Sing that Thing Prize. Prepare to be uplifted as they sing their hearts and soul into their own interpretations of soulful songs. Founded in 1988, this 30 piece brass and percussion ensemble adheres to the instrumentation of the “British Brass Band” tradition. Based in Boston but with members from all New England states, the NEBB has played for audiences across the northeast and has won first place for several years at eh North American Brass Band Association National Championship. Beginning with the 2008 season, the NEBB is being guided by the distinguished talents of Stephen Bulla the former chief arranger fir the “President's Own” U.S. Marine Band. Imagine a cross between Adele, Diana Krall and Bette Midler and you’ll describe Suede! 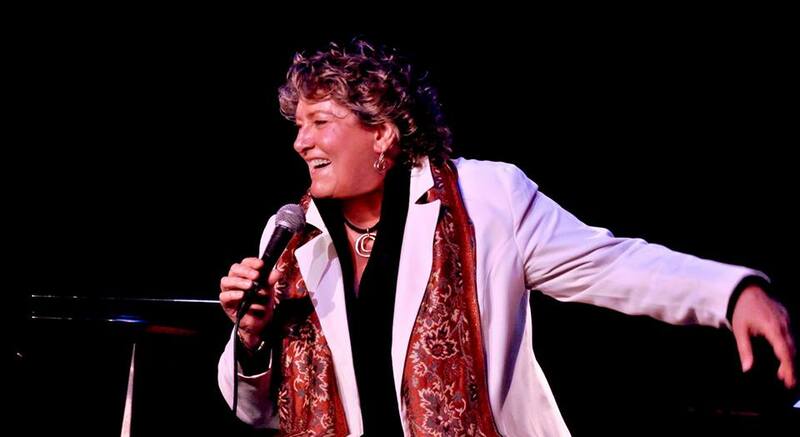 She has recently played to sold out crowds and keeps bringing people back to enjoy her musical talents, honed skills and immense joy of entertaining. In addition to her powerful voice, Suede plays trumpet, guitar and piano. A native of New York, Suede received a bachelor’s degree in music with formal training in classical voice and trumpet. She has performed in concert halls both in the US and Europe. Since 1988, she has managed her own record label Easily Suede Music. Suede delivers her broad range of musical selections with her own unique blend of warmth, wit and musical artistry. ​Learn more about Suede here.